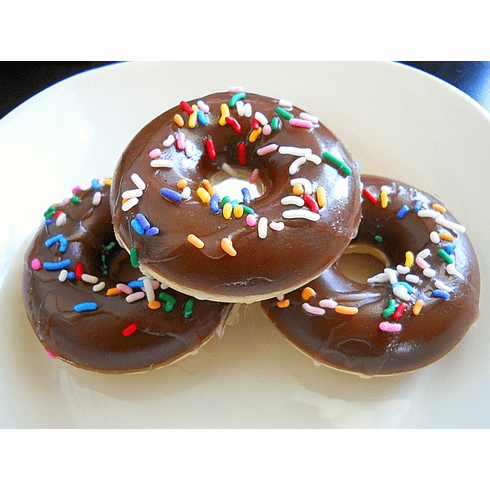 Our chocolate sprinkle doughnut soap is made with 100% vegetable glycerin soap. Smells wonderfully of a real chocolate dessert. Too yummy for words! Vegan-friendly soap! This listing is for one doughnut soap. Weighs 4 oz and it is packaged in a clear cello baggie with a label and bow.